"A delightful nose of creme de cassis, hot stones and crushed violets and spices. Full body, chewy and super polished tannins and a long finish, which really takes off thanks to electric acidity. An essay in balance and depth. Best ever. 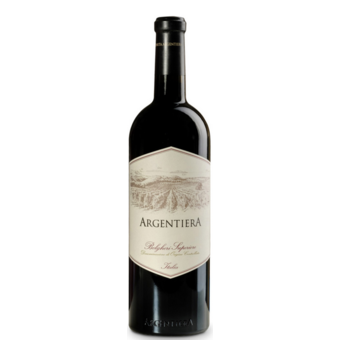 Puts Argentiera with the best of the best in Tuscany. A blend of cabernet sauvignon, merlot and cabernet franc." "When you say Bolgheri is like saying charm. Who has the practice of this tiny piece of the Maremma and met some wines, and recalls the land, cuts of light, the sea, the profiles, the mood, here are the thoughts that magically start to run fast and the race will evoke, dream, thrill and subtle fascination.